TUW is delighted to announce the latest special guest to confirm their attendance of PM2008 on Sunday 13th July in Portmeirion. Bettine Le Beau is a former actress, model, painter, sculptor, cabaret artiste, and broadcaster who will be well known to readers of this website through her roles in "The Prisoner" as Lucette in "A, B, and C" and the "Danger Man" episode "The Girl Who Liked GIs" and has fond and vivid memories of working with Patrick McGoohan. She also has the rare distinction of being a Bond Girl (in the film "Dr No"), as well as one of Benny Hill's Angels in the 1970s. 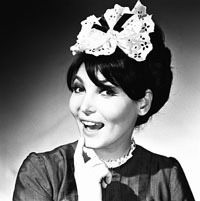 Other acting credits for TV include "No Hiding Place", "The Likely Lads", and "The Edwardians". Bettine has also lead something of an incredible life. A holocaust survivor having escaped the Nazi concentration camps in 1942, Bettine has written the book "Help Yourself to Happiness" and today works as a motivational speaker. She will be interviewed by event MC Dave Jones regarding her incredible life and career, at this her first ever Portmeirion event. For more information on the event and to book tickets, click HERE. 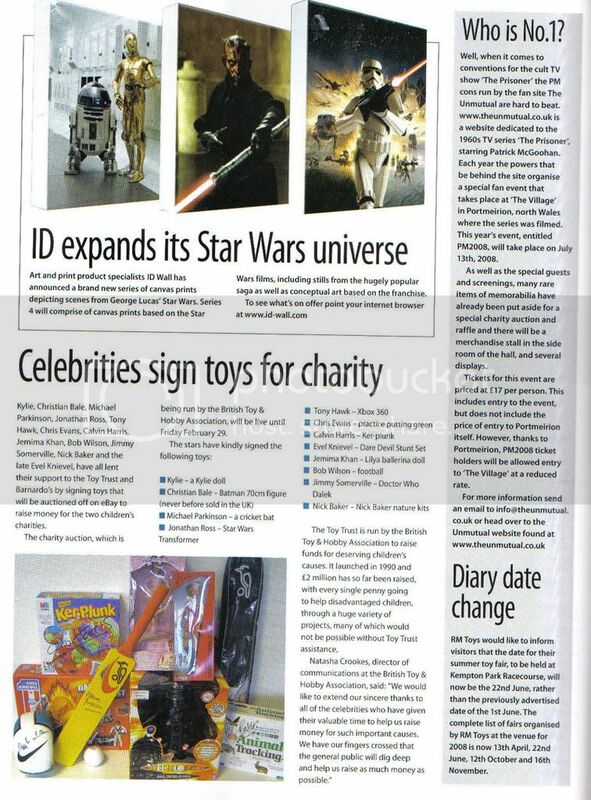 Other PM2008 News: TUW would like to extend its gratitiude to the magazines "SFX" and "Film & TV Memorabilia" for their free/donated coverage of PM2008. Click HERE and HERE for scans of the articles.